Will India be a Model of Unity in Diversity in the 21st Century? Two events gripped my attention this last week. First the news on Wednesday that according to the United Nations population division in its 2015 report, India will match and pass China in overall population six years earlier than previously thought. Instead of it happening in 2028, it will more likely be in 2022. At that point, both countries will be roughly equal at 1.4 billion. India’s population will then keep growing, surpassing China’s by the end of that year and reaching 1.7 billion by 2050. This may not surprise many aware of each country’s dynamics , but when combined with another event this week it made me think again of the importance of India as a potential model of unity in diversity in the coming decades and centuries. That was the death of A.P.J. Abdul Kalam, a former President of India and leading scientist and thinker. This man brought hope to millions with his inspirational writings and messages, with a particular focus on the generations under 18 years of age. Kalam was also an Indian Muslim. One of over 160 million Indian Muslims, he personified a leader who appealed far beyond his own community. As one journalist wrote this week, Kalam “was one of the few Indian leaders able to bridge the country’s political, religious and linguistic divides, and his death provoked an outpouring of grief across the political spectrum at a time when positions have hardened.” It is in a societal climate of the “hardening of positions” that Kalam’s life and death becomes even more important. With India not only being the largest Hindu country in the world as well as perhaps the second largest Muslim nation, what happens there in the next 50 years is very important. It is also home to over 30 million Christians as well and various other faiths. How India deals with its religious, cultural and linguistic diversity is important not only for its own future, but the future of the neighbors around it in South Asia. This can also be said of China, for how that nation also deals with its own diversity is another important story. In many ways in fact the future of India and China and particularly how they handle their diversity will be a crucially important part of the future story of our world. The humility of Abdul Kalam was recognized by many of different faiths and cultural backgrounds. For many years he articulated a vision centered around the year 2020, when he envisioned improvements in Indian society that would help it to be an example to the nations. While being President and after he travelled all over India and to other nations, promoting this vision and challenging a new generation to bring it to pass. Though India is not a perfect society and many of Kalam’s ideas are far from fulfillment, the fact of his being an eminent thinker, a nuclear scientist, a Tamil Muslim and someone so committed to connecting with a new generation makes his death a point to stop and reflect. Is it too much to dream that India could be a place where a modeling of unity in diversity could take place as an example to the nations? That the largest nation on earth most likely after 2022, and certainly the most diverse in language and culture, could lead the way in evidencing concrete solutions on how faiths and cultures can live together in peace? To many that may seem like a pipe dream or worse. But Abdul Kalam presents us with an example of someone who believed in a vision of the future that offers hope and creative solutions to seemingly intractable problems. I close this post with a personal remembrance from several years ago when Abdul Kalam had just become President. His longish unruly hair, one of his trademarks, had caused a certain amount of angst in political circles. There was much debate in the newspapers and on TV that of course with the dignity of the office he would have to get a haircut. But what happened? He kept his hair long and it continued to be part of the flair of his persona. He was his own man. He had a deep, quiet dignity combined with a sharp wit and mind. President Abdul Kalam, we will deeply miss you. But we thank you for the vision you had and the hope you gave millions. Many of those will reach the age of 18 and above in the next few years, and along with the Pakistani young woman Malala will answer for themselves the question I started with. Will those that heard Kalam speak, or will read his writings, be inspired to have hope for the future? The same kind of hope that Malala has brought to not only Pakistani society but the world. As we move further into the 21st century, it will be these new generations that will answer the question of who and where will a model of unity in diversity happen. Sometime after 2022, the largest nation on earth will also be the most diverse nation. Put those two things together, and for the sake of the future of the world let India be the model it has the potential to be. As an Indian I am deeply moved reading this blog-post. Dr. Kalam’s life indeed does inspire every Indian to believe there are better days ahead of us. I hope someday day a Malayali Christian or a Naga Christian would become the president of India. So yes, I agree with many of the things you have written about in your blog but I hope I can take the liberty and respond with some questions and issues that would require further elaboration. Also I think I am more jaded now than when I first met you as a teenager. 1) If I was an Indian civil servant in Delhi one of the first things I would ask is ‘what about the Uniform civil code of India’. Beyond the inspirational points how do we deal with real policy challenges with regards to ‘unity in diversity’. Whose unity? 2) Cricket, the sport given to us by our former colonizers, is the only thing that really unites us as people at the heart level. And even in the selection of the national team there is a default regional quota bias. 3) As a country we don’t have a single national language. No Tamil Nadu Chief Minster would ever address the Tamil people in Hindi because it is our national language. But Hindi is the language used for public across North India. Is India a Nation? Or, a Nation of nations? Looking forward to reading your response. Thanks so much, Philip, for your thoughtful reply. I am aware that my post was probably overly optimistic (perhaps a bit like Abdul Kalam himself!) and the issues you raise are very accurate. To me India is not only a nation, and yes “a nation of nations”, but also an “idea” and in some ways a future vision as well. This is true, of course, not only of India but many nations. There is an “idea” of England for example, or the US, or Russia, or Kenya. That idea or vision can be positive or negative. Abdul Kalam was tapping into an inspirational vision that saw India as an idea that can bring hope to not only the people of India (particularly the youth) but also the world. That is what I was hoping to communicate in the post. So the issue of a lack of unity on many levels is certainly there. I do very much agree. But what India represents for the future, and what can be practically done to see it come to pass, is very powerful. Cassius in his post has given some important points to that. I am of course an outsider who has fallen in love with India; her people, her future, her destiny. Perhaps I have fallen in love with an image or an idea of India, but as in lifelong romance, that is sometimes a sustaining vision even while embracing the defects! I know Steve that you love India and that idea of future India that you romance with has certainly rubbed off on many Indians, including myself. 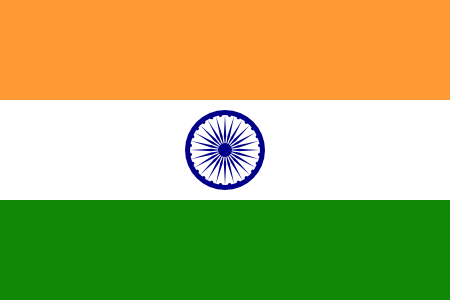 Now that I’ve lived almost 18 years outside India, I feel like the foreigner that needs to rediscover my own Nation. Kalam’s future India certainly gives us a long-term sense of where we want to get to but pressing matter is how to make sure we do get there. The issues I mentioned are few of the hurdles/obstacles we have to deal with. I would like to express here, 3 practical keys, which I believe will help us work towards this ‘unity in diversity’ in India (or wherever we live). A.P.J. Abdul Kalam is a great example of ‘men of goodwill’, of whom there are many in India. I believe that one of the keys to hope for the future of India is solidarity and collaboration by ‘men of goodwill’, to transform society. Each of us in our ‘sphere of influence’ in society needs to build relationships with and work together with men & women of goodwill. As a Christian, I believe this is an important outworking of our faith, which we express in ‘The Lord’s Prayer’ with the words, “Your kingdom come, your will be done, on earth as in heaven”. I believe all true good is inspired by the Holy Spirit and we need to co-operate with men & women who are responding to the promptings of the Spirit. A second key is relational unity, which I believe is foundational to unity in the midst of diversity. Relationships are foundational to peace and unity in every sphere of life – whether it is our personal lives or our lives in society and the practical context in which we express love, which builds unity and peace. It starts with being inclusive and opening ourselves to others whom we isolate ourselves from, because of our differences/diversity – whether that difference be language, religion, opinion, political affiliation, skin colour, race, social or economic status, occupation etc. It means allowing my heart to be transformed, so that I recognise their value, make space for their voice to be heard and accept them as a person in spite of our differences. It is only in this context can we come up with responses, programs & policies that will be inclusive and respect diversity. In the face of such evil, we need to have confidence that light wins over darkness, no matter how great the darkness is at some points. In fact, when the darkness is greater, the light will shine more brightly. Truth will eventually prevail, even though it seems to be defeated in our immediate present. God is much greater than Satan and he wins in the end. Such confidence and hope is necessary in the face of evil, so that we don’t lose courage. But more than that, this hope must fuel our efforts to promote truth & light, to do good, to build relationships of unity, to influence people and groups towards living & working together in harmony. This hope must fuel our prayer for situations of suffering & evil, confident in God’s mercy & forgiveness and in his ability to transform even those influenced by evil. Yes, hope recognises that people are not our enemies – even people who have allowed themselves, to be influenced by evil and promote evil. Thanks Cassius. I think all three of these are very vital for the future. I’m sure you would include in your ‘men of goodwill’ many women as well! I think often of the amazing example of Malala in Pakistan, who I also mention in the post. There are many Malalas in individual contexts around the world, young women with incredible courage in the face of such difficult environments. When these men and women around the world start to link up in the ways now available through social media etc, there is a greater power unleashed to show love and hope in the face of the ‘other’ and even in the face of evil. Watching the movie you posted also of the young woman who ‘had no muslim friends’ made me again think of praying for and encouraging a whole new generation of young men and women who think and act very differently than this video. Previous Post Dear Mr. Graham, Let me Introduce you to Some Friends….